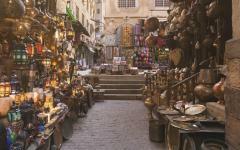 Old-world glory and modern glamour fuse together on this signature Egypt and Jordan discovery tour. Your two weeks of handcrafted vacation has you relaxing in the region’s finest five-star establishments and exploring the extravagant highlights of ancient dynasties. 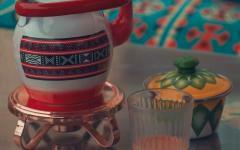 Enter the atmosphere of another era while indulging in modern luxuries. Bask in Cairo’s celebrated Marriott Mena House Hotel, a favorite among celebrities and dignitaries for over 150 years where many of the rooms boast views of the Great Pyramid. Glide down the Nile on a lavish sightseeing cruise, and relish the private excursions tailored to your requests. Witness Petra by candlelight, take in the pyramids, admire ancient temples, and explore lost villages. There is so much to take in, and you can find even more inspiration here. 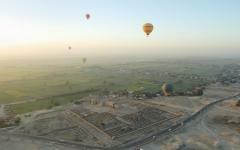 Egypt and Jordan abound with history. Pyramids proudly dominate the desert while temples celebrate the glory of ancient dynasties, forgotten cities are sculpted from sandstone, and traditional villages and untouched tombs are juxtaposed along the banks of the River Nile. Few other regions can rival their sense of old glory with their expressions of fantastic worlds that existed long before the notions of Western civilization. 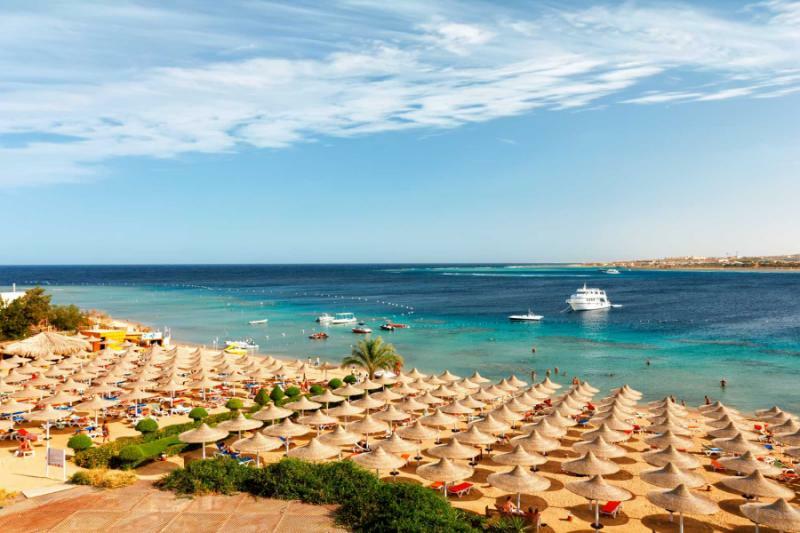 Your handcrafted tour will bring the old-world glory of Egypt and Jordan and wrap it all in a thick layer of modern luxury with carefully selected hotels and guides to provide a contemporary glamour to complement the history. The Great Sphinx of Giza, King Tutankhamen’s Tomb, Petra, Luxor, Aswan, Abu Simbel and others will showcase both astonishing scale and a sublime level of intricacy and intimacy. 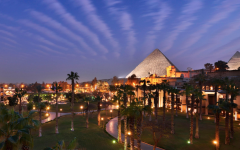 Travelers will also have the opportunity to partake in Egypt's modern history when staying at the the Marriott Mena House. Since its inception in the late 1800's, the Marriott Mena House has a rich history and has been the favorite among many celebrities, foreign dignitaries, and Zicasso travelers. Most of the rooms at the Mena House offer a direct view of the Great Pyramid. Begin your trip with a lavish night spent overlooking the River Nile in Cairo, and then settle into the charm of the region’s finest cruise ship, the intimate five-star Movenpick Royal Lily. This vessel will be your base for four days with a large balcony that gazes out onto desert sunsets and riverside scenes. 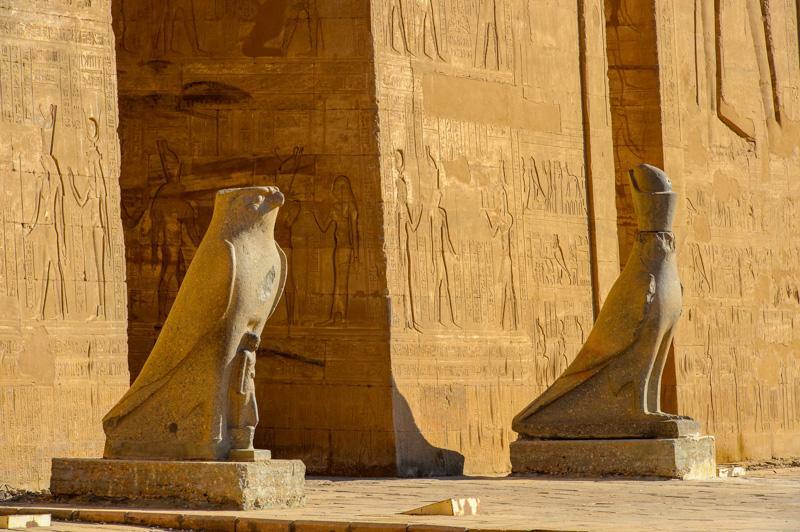 Private Egyptologist guides will lead you into the annals of history, starting in Luxor and Karnak, and then into the Valley of the Kings. 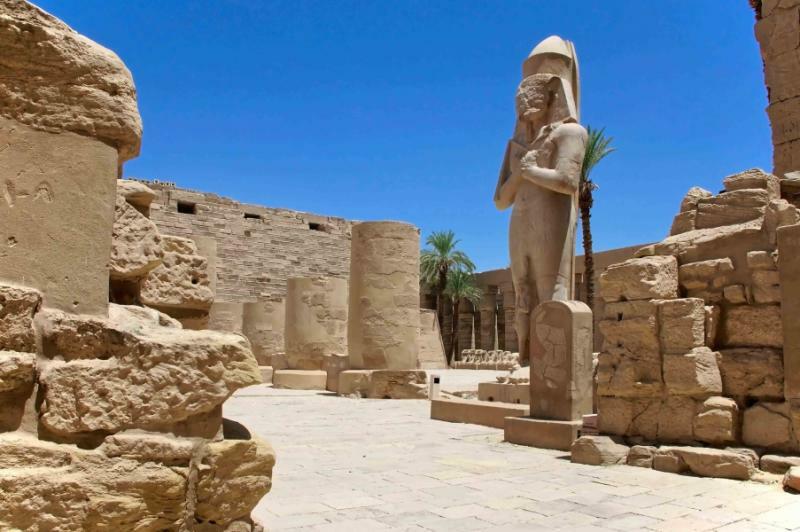 Descend into the famous tombs and admire their untrammeled opulence, and then gaze skywards as footsteps echo across temple floors as you explore all of the wonders that make Luxor the great open-air museum that it is. 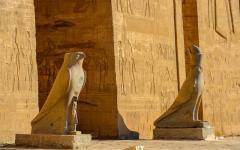 You will soon be cruising to Aswan with a stop at two remarkable temples before docking. A new set of highlights will emerge here, some of which are romantically discovered on a private felucca sailboat excursion. The end of the week will be very relaxed with your short return flights to Abu Simbel bringing a dramatic insight into one of the world’s most expressive historical sights. Landing back in Aswan, you will have the afternoon to relax in the palm-dappled oasis at the Old Cataract Aswan, a glamorous hotel that inspired Agatha Christie and epitomizes the quality of the accommodation provided throughout the tour. 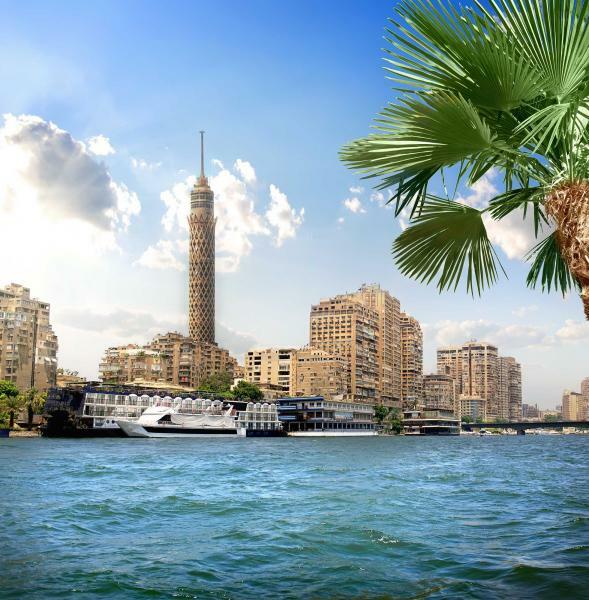 Cairo has many highlights but the chaos of the city can be overwhelming, so the Kempinski Nile Hotel will provide you an oasis of calm to escape the noise and the crowds. From there, you will take private tours to the unforgettable sights like the Great Pyramids of Giza and the Mummy Room at the Egyptian Museum of Antiquities. Your next two days will be spent in Petra, with two unique tours that will unravel the elegance of this lost sandstone city. 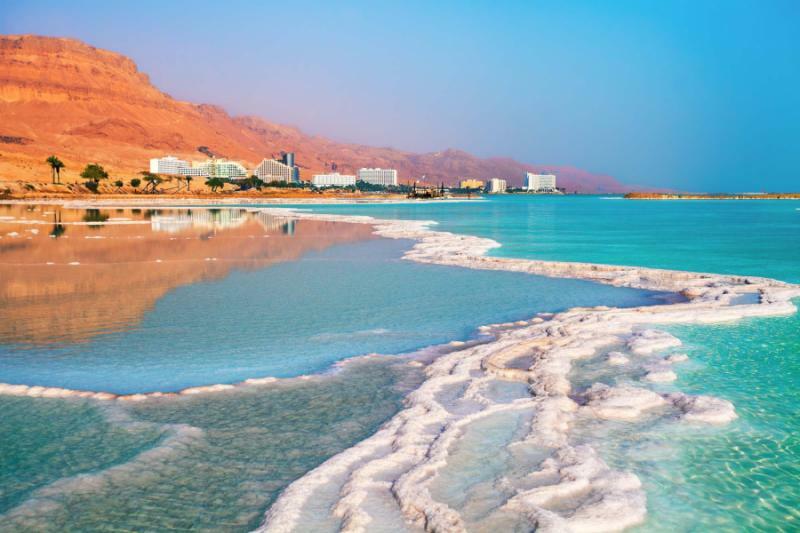 To complete your journey will be two nights at the Dead Sea, where the tranquility of nature will take center stage with views that are postcard-perfect. Our Egypt travel specialists use their expertise to ensure your memories of Egypt are as amazing as the history and scenery. After landing at Cairo International, you will be greeted by a representative and assisted through customs and immigration before being transferred to your private vehicle for your journey into the city. 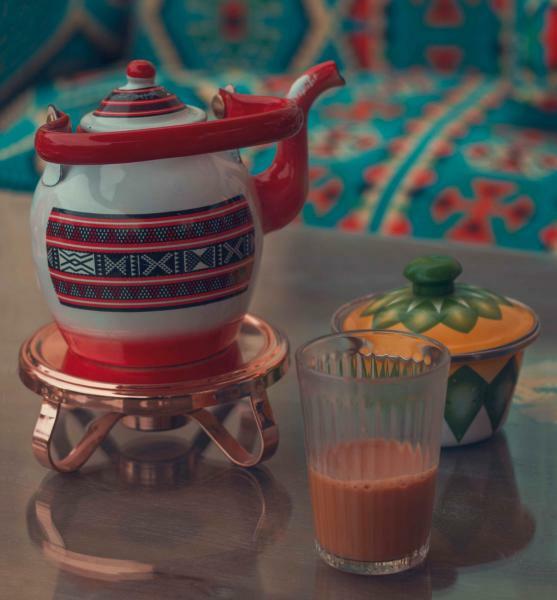 After your flight to Cairo, you will have a peaceful space where you can fully relax and recuperate from your journey in the luxuries of the famous Marriott Mena House, which has enchanted guests since opening in the late 1800's. The five-star pioneer combines serene vistas with modern opulence in a sensational setting. 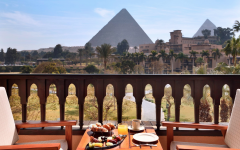 The gorgeous hotel offers a selection of rooms with views to Egypt’s captivating pyramids symbolizing more than 7,000 years of civilization blending effortlessly with the welcoming, modern comforts for which the Marriott Mena House Hotel is famous. 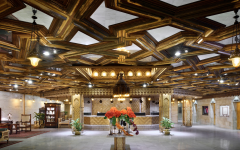 Celebrities like Frank Sinatra, Cecil B. DeMille, Charlton Heston, and Winston Churchill have enjoyed the beauty of the Marriott Mena House Hotel. 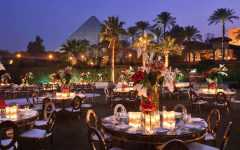 You will indulge in the unique location with 40 acres of manicured gardens during your introduction to Egypt as the Nile glistens softly below the city when the evening lights replace the view of the sunset. Wake the next morning to be privately transferred to Cairo Airport for your short flight to Luxor and travel straight to Luxor Temple. Luxor baffles even the most worldly of travelers as seeing such ancient heritage stand in such a pristine state of conservation is hard to comprehend. 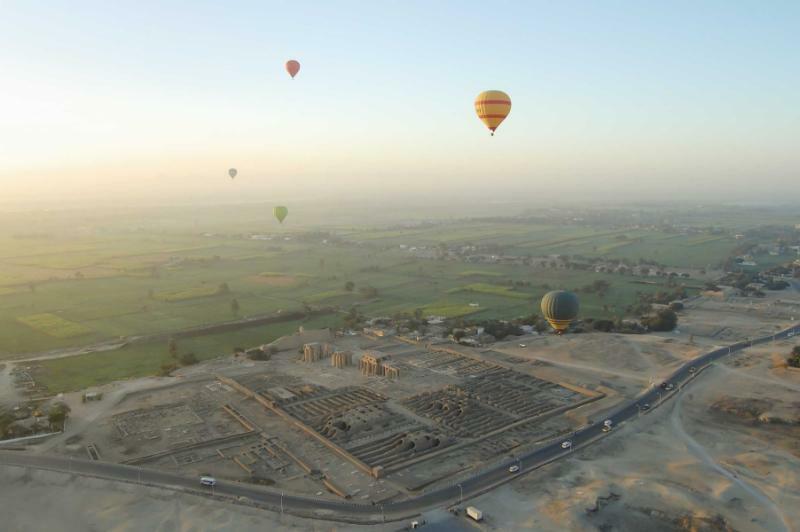 Your mind will circle with questions on how these tombs and temples were built on such an immense scale? Palatial columns rise skyward and dwarf all of those who wander across the imposing temple floors. Sculpted figures guard entrances ten meters high, their eyes cast with indecipherable emotion. Footsteps will echo and bounce across the walls before evaporating into the desert sky. Your first glimpse will be forever memorable as the scale of the temple is experienced in all of its primitive glory. As you admire the hieroglyphs and soak up the murals, you will realize that this is just the start of your journey through Egypt’s dynasties. Like each day on this itinerary, every tour is private, and your Egyptologist guide will tailor the speed and information to your interests. There is almost too much to see around Luxor, and it will be easy to be overwhelmed by temple after temple, tomb after tomb. Your guide will individualize your discovery and focus your time on the most exquisite and interesting. 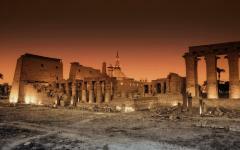 You will continue down the old Avenue of Sphinxes to the temple complex of Karnak, and then the scale will multiply. The largest of all of Egypt’s temples, the scale can only be comprehended when you stand in the main temple courtyard. You can take your time and allow the silence to take over as impressions of stone imprint themselves. Your guide will unravel the details and over the course of the day, will answer those questions you had when you landed in Luxor earlier in the day. 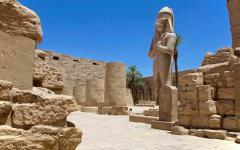 There will be time to visit the Luxor Museum should you wish, as you travel the banks of the River Nile. On Luxor’s opposite bank lie the tombs of the pharaohs, the grand structures built to protect them in a future life. 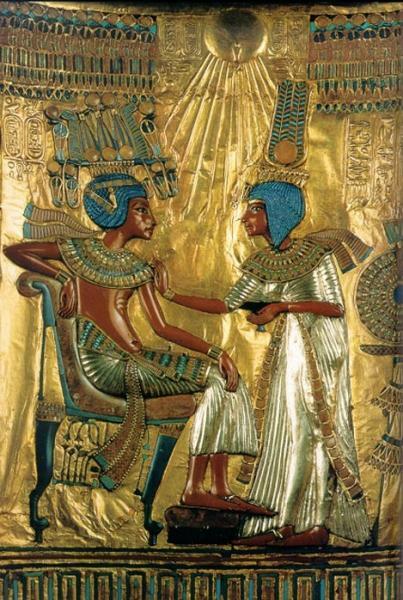 The rulers of Ancient Egypt’s 18th dynasty were mummified and left in the Valley of the Kings and Valley of the Queens, where exquisite details adorn the walls and stories are told in strange images. You will visit four of the tombs, and your guide will explain the potential options. 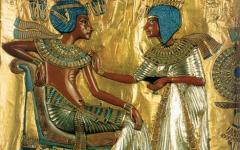 King Tutankhamen’s is usually seen as unmissable, predominantly for its fame. 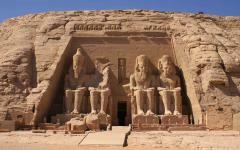 King Ramesses VI’s should also be seen for its beauty and size. Down in the musty tombs, you can inspect the walls of detail as your guide will point out what has been left behind after over 3,000 years. An ethereal atmosphere hangs in the air and will remind you that these were places of rest. There will be a beautiful moment as you ascend the steps and return to the tomb entrance and admire the endless vista over the desert. After a stop for lunch, you will be guided through the Valley of the Queens and take time in the Mortuary Temple of Queen Hatshepsut. Of all Egypt’s ancient monuments, perhaps none capture the era’s stylistic innovation as well as this one. Enjoy your time cruising away from Luxor in the evening. Elegant and exceptionally appointed, the cruise ship is one of the Nile’s premier vessels. Opulent views come from your deluxe cabin, in the restaurants, and along the sun decks revealing the tranquility of the Nile and the Sahara beyond. Your boat is spacious and carefully designed to maximize the panoramas while always providing shade. Pass the forgotten villages, the green oases that cling to the sand and the remarkable temples that rise graciously from the desert. 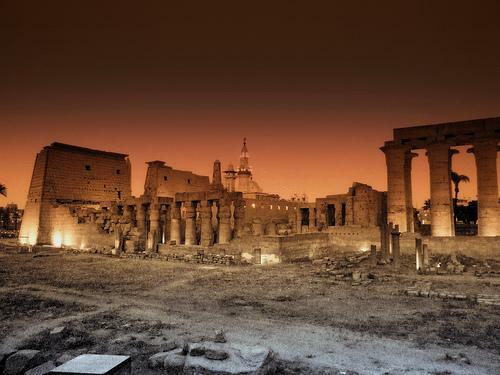 Edfu and Kom Ombo Temples have inspiring stories that are written in the symbols and sculptures that encircle them. Your private guide will narrate the tales of the crocodile god and belligerent hippos. These stops will provide the interlude to a very relaxed day of cruising that will immerse you in the gentle rhythm of the desert. The sunrise over the River Nile is a striking sight as bands of color linger on the horizon with golden tones shimmering off of the water. As with each morning on the cruise ship, your sumptuous breakfast will be spent with beautiful views as you cruise into Aswan to spend the day exploring a remarkable collection of highlights. Philae Temple, Aswan Dam, the staggering granite slab of the Unfinished Obelisk will pass your view as you begin to appreciate how each of Egypt’s sights has its own ambiance and style. After a relaxed lunch, you will spend your afternoon on a traditional felucca sailboat as wind power will take you between the exotic green islands and flourishing oases. The boat is a vessel of yesteryear, a serene immersion in the distinctive mood of Aswan as it harmoniously blends Saharan desert styles with Arabic innovation and the charms of tradition. Aswan is Egypt’s most memorable town as the markets are alive with color while locals spend entire afternoons on cafe terraces, and there is a real sense of a world frozen in time. Included in the felucca cruise is a stop at a tiny Nubian village, where you can transfer to a camel and ride into the desert at sunset before settling into your relaxing accommodation combining history with exceptional attention to luxurious detail. 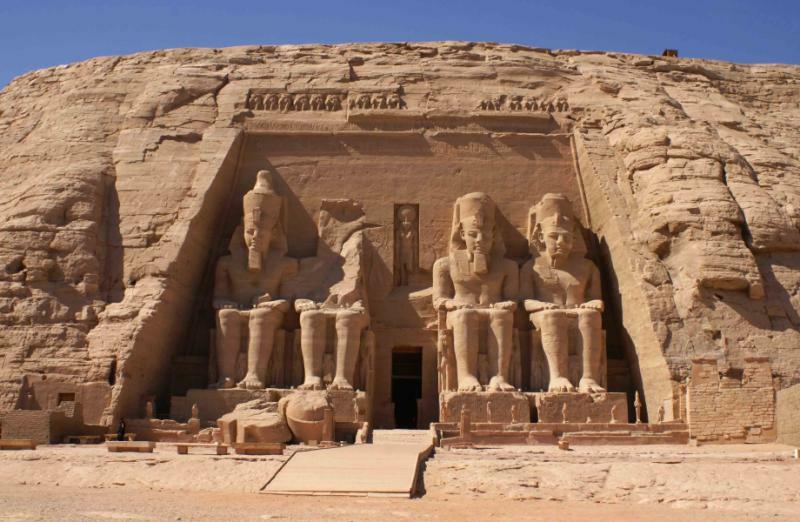 Abu Simbel is worth the journey. Rescued from the flooding of the Aswan Dam and expertly reconstructed, the Abu Simbel temples are very different to everything you will have previously seen in Luxor. 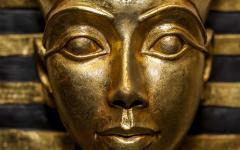 It will be the details that mesmerize; the glance in the eye of sculptures that guard the entrance, the gold leaf shimmering, intricate hieroglyphs found along a hallway of seemingly endless statues. 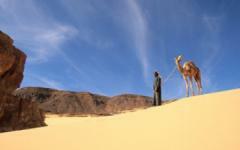 After a relaxed morning, you will fly over the desert to Abu Simbel for a private tour of these astonishing monuments. After that, continue to Cairo and return for the night to the Marriott Mena House Hotel, a place of phenomenal old-world grandeur. 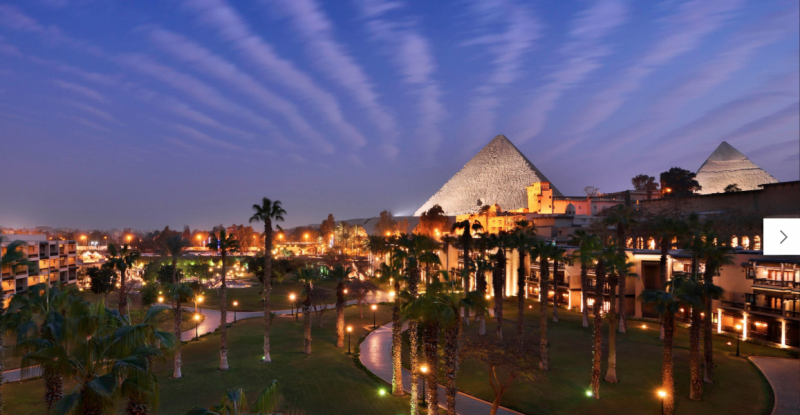 Ascend to the roof for an exceptional view of the Pyramids of Giza above the iconic palm trees in the foreground. 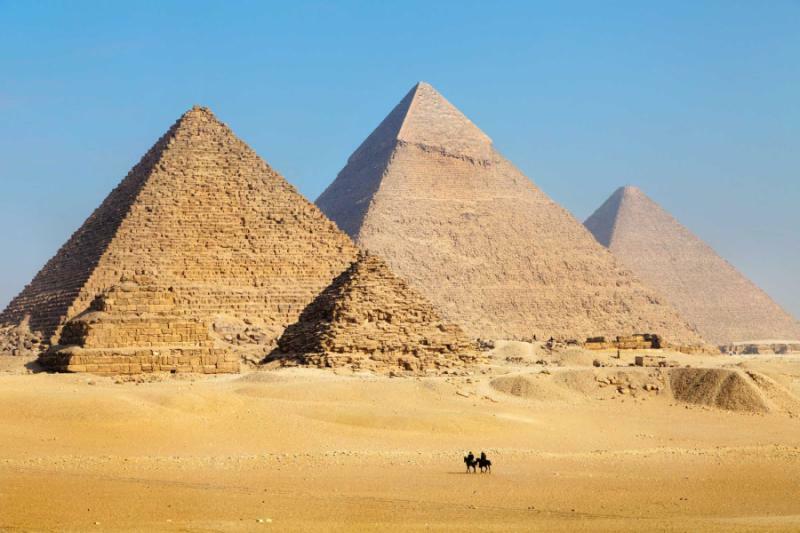 For many visitors, the Pyramids of Giza are Ancient Egypt, the single icon that represents the innovation and expression of the world’s first great civilization. Your private guide will take you into the World Heritage Site at sunrise, before the crowds descend, to give you plenty of time to soak up their scale and listen to the enveloping silence. Explore the interior of one of the temples, visit the famous viewpoints, gaze up at the protective Sphinx of Giza, and understand why photos simply do not do justice to these monuments. By mid to late morning, you will be back at Mena House Hotel for a hearty brunch and some relaxed hours spent on the roof. Your private afternoon tour will reveal the oldest of the pyramids, the crumbling and weathered stepped pyramids of Saqqara. 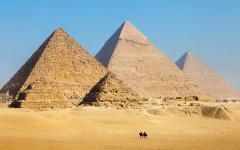 While not as visually impressive, these pyramids are a great insight into the construction and design of the icons. Wander through the Egyptian Museum of Antiquities and an endearing chaos will greet you at every angle. Golden fragments are hidden amongst the dust with seemingly priceless artifacts lumped in piles. It will feel as though you are opening an ancient treasure chest to search through endless gems to find one that ultimately stands out. 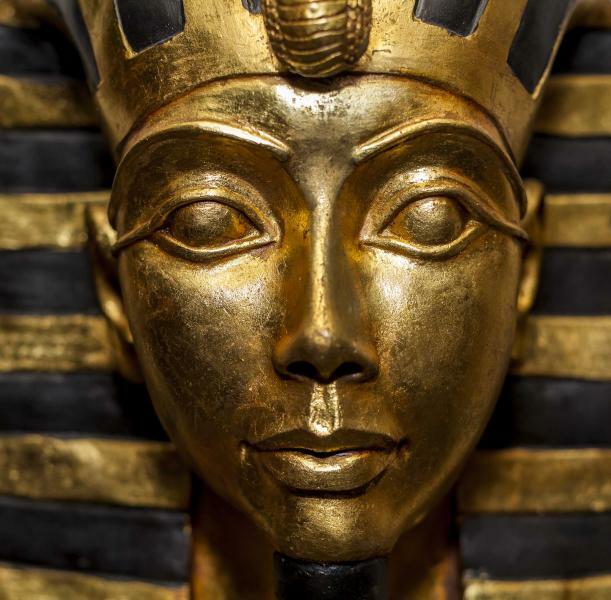 It can be very confusing, and it could take months to see it all, but with your private guide, you can sidestep straight to the most evocative treasures, including the sparkling wonders excavated from King Tutankhamen’s Tomb. The museum first opened in 1902 and houses approximately 120,000 artifacts. After lunch, you can spend the afternoon wandering through the cobbled streets of Coptic Cairo, where churches date to the 5th century AD. 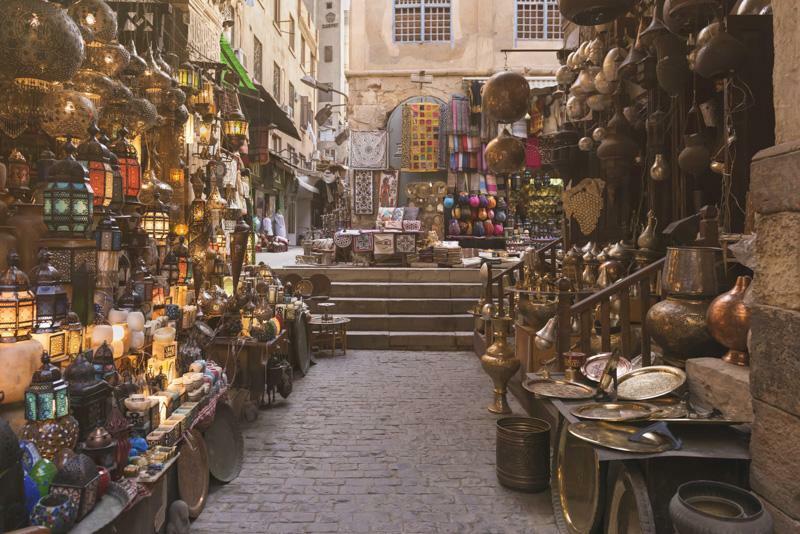 The vibrant markets are ideal places to purchase souvenirs while aromas of anise, coriander, and black pepper drift through the narrow lanes. Fly from Cairo to Amman where you will notice the change in atmosphere as the bustle of one capital fades to the tranquility of another. 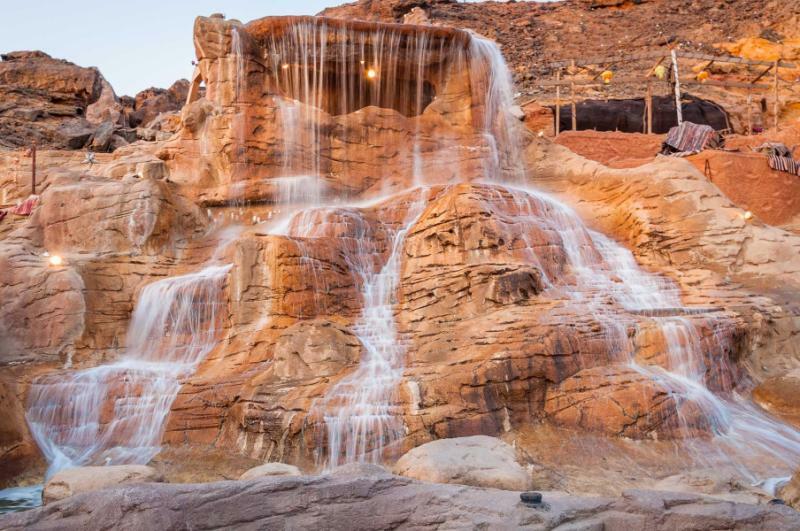 You will be greeted at the airport, and it will be a three-hour drive out to Petra, with a couple of potential stops on route dependent on your mood. Relax at the five-star Movenpick Petra and let the heat of the afternoon slip away before you enter the mesmeric sandstone city. The hotel combines the beauty and flair of natural stone, intricate handcrafted wood, and Middle Eastern fabrics for a collection of sensational textures accentuating the ambiance around one of the New Seven Wonders of the World. The Arabic-style courtyard provides a soothing window into the past and a selection of the luxurious rooms offer enchanting views over the Great Rift Valley. The comforts of the modern rooms contrast the antique ambiance of the ancient city located across the street from the hotel. Late afternoon will cast a seductive glow onto the rock as swirls of rustic red and radiant orange bounce back off of the canyon walls. Tomorrow you will explore the different buildings to admire their contrasts, but today’s sunset will be about admiring the city from a raised vantage point and watching the subtle changes as dusk takes hold. Your private guide will lead you towards the famous entrance of Petra for the evening tour. You will descend slowly as the canyon narrows, and you approach Petra’s ancient, hidden entrance. Take a few more steps, and a whole world will open as buildings are carved into red cliffs and sculptures dominate the sandstone. With candlelight as your guide, you will make out the city avenues as they wind around the cliffs and lead to majestic layers of rock. Silence reigns, and you will hear every footstep. Hold your light out and reveal a new set of detail, which then disappears as you walk on. Exploring Petra at candlelight has an almost transcendent element, one that slowly evokes the atmosphere of this city’s distant origins. Petra looks different in the morning light as it is both inviting and inquisitive to showcase a scale that was impossible to grasp yesterday evening. This sandstone city is not merely a cluster of photogenic buildings, but a sprawling expanse of caves, tombs, Roman pillars, polished granite and sculpted icons. After breakfast, your private guide will explain the potential route options. You can only get around the city by foot, or by donkey. 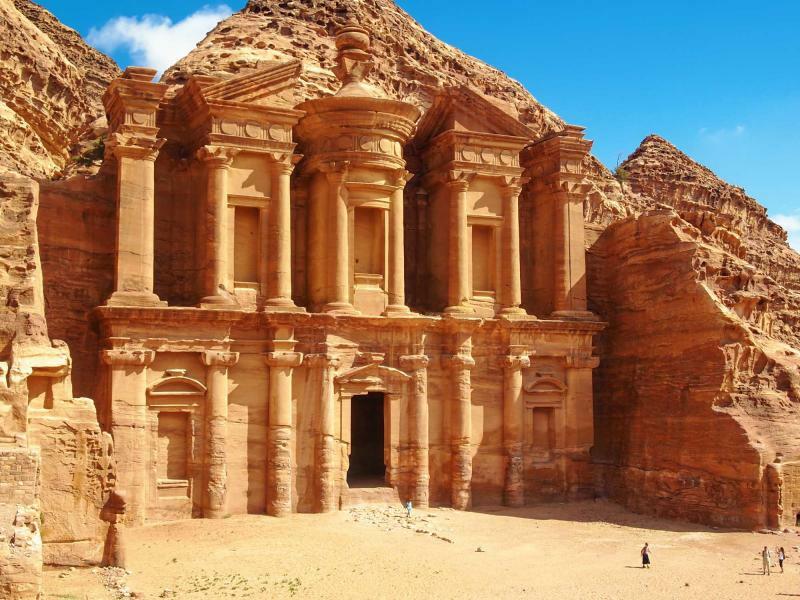 The area close to Petra’s narrow canyon entrance has the most famous sights but starting from the opposite side will reveal the city’s most impressive temple. The walk could be less than an hour, uncovering a few exceptional icons or you could also spend a whole day and only see half the city, such is its enormity and vivid detail. Take as long as you like because, like all good cities, the real beauty comes when you head off the beaten track. From Petra, you will be transferred to the Dead Sea, a two-hour journey that will culminate in the peaceful views overlooking the Dead Sea. This will be a day at your leisure, and you can begin your day gazing over the water from your hotel balcony. Your hotel embodies tranquility with spacious interiors opening out onto the sea breeze for your own secluded piece of the coastline. 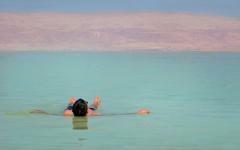 The Dead Sea is Jordan’s premier coastal escape, even though the salty water is now hemmed in by landmasses. 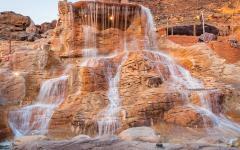 Relax by the shaded pool as drinks are served or take a swim in the Dead Sea to experience the buoyancy of the salt. 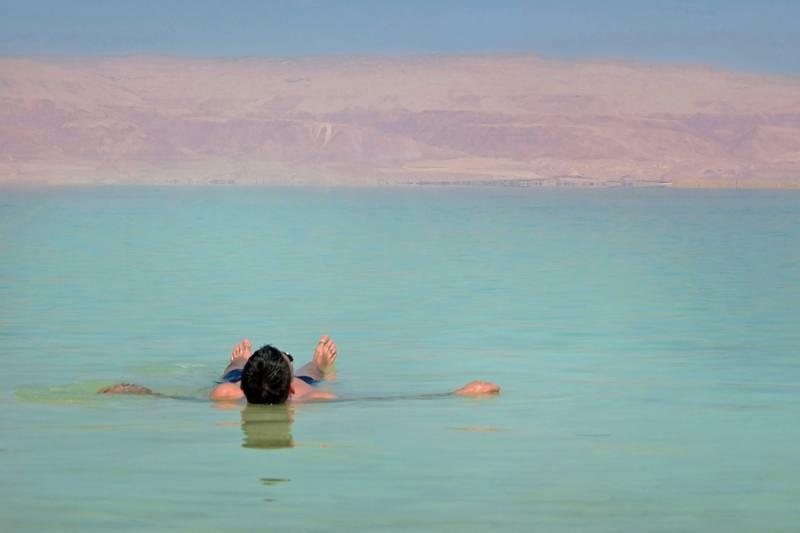 You will feel something comforting and recognizable about the Dead Sea, yet there is also something endearingly different and exotic. The journey back to Amman can take two hours with a scenic ride on route to dropping you at the airport for your international departure. But for an evening departure, this final transfer can include many intriguing stops. Spend time at the Roman ruins of Jerash for insight into the blend of Greco-Roman architecture and Arab traditions dating back to the 1st century BC or explore the epic 12th century crusader castle of Kerak, the largest crusader castle in Jordan, before reaching Queen Alia International Airport.